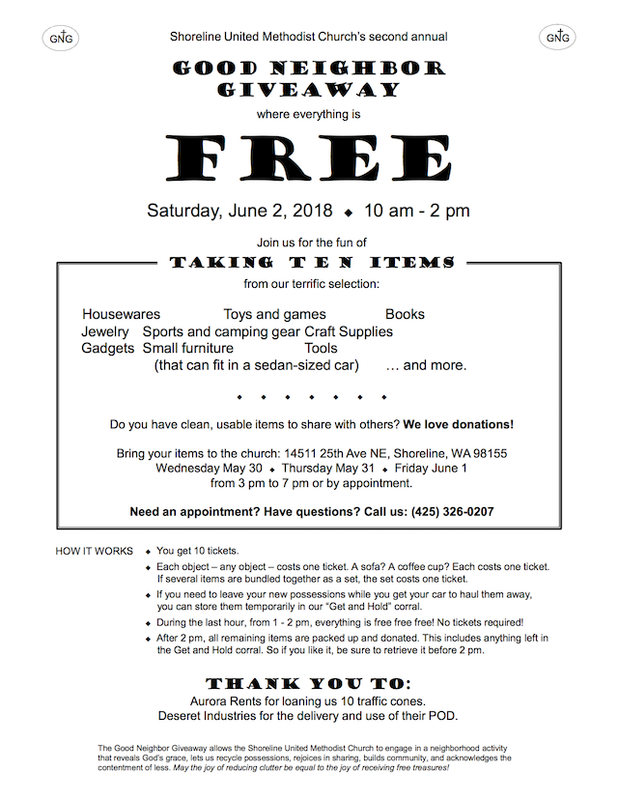 Shoreline United Methodist Church is repeating their successful Good Neighbor Giveaway on Saturday, June 2, 2018 from 10am to 2pm. The church is located at 14511 25th Ave NE. this was a wonderful event today. Very well organized and peaceful. Thank you!